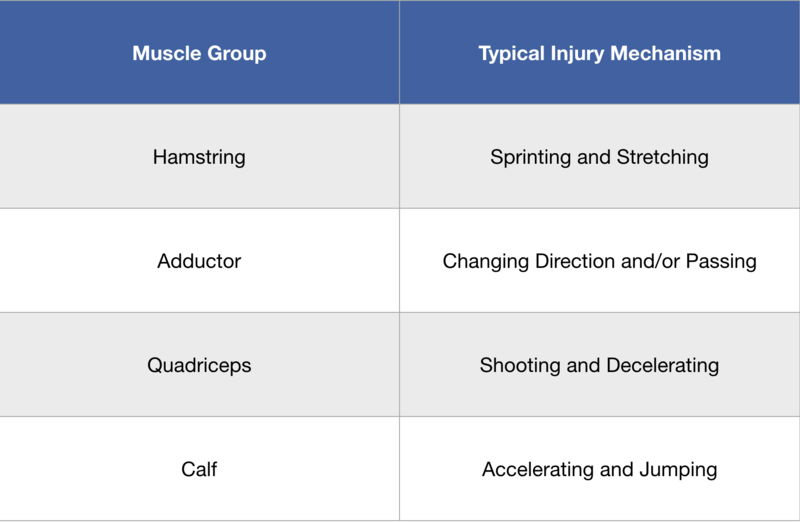 Muscle Injuries in Football – Part 2: How do they occur? What are the risk factors? How does the healing process work? Off we go through our journey in the ABC of Football Medicine®. By now, we expect that the reader is already familiar with some of the terms that relate to the muscle injury. Hopefully, we’ve been successful in presenting you with the basics on the muscle anatomy and function, the implication of the muscle injury in football, the classification of this entity and the usefulness of this system to provide some prognostic support. In this lesson, we will continue with these important cornerstones in the process of understanding the injury and, by this mean, understanding the strategies to prevent it. How do muscle injuries occur? What are the risk factors for the occurrence of a muscle injury? 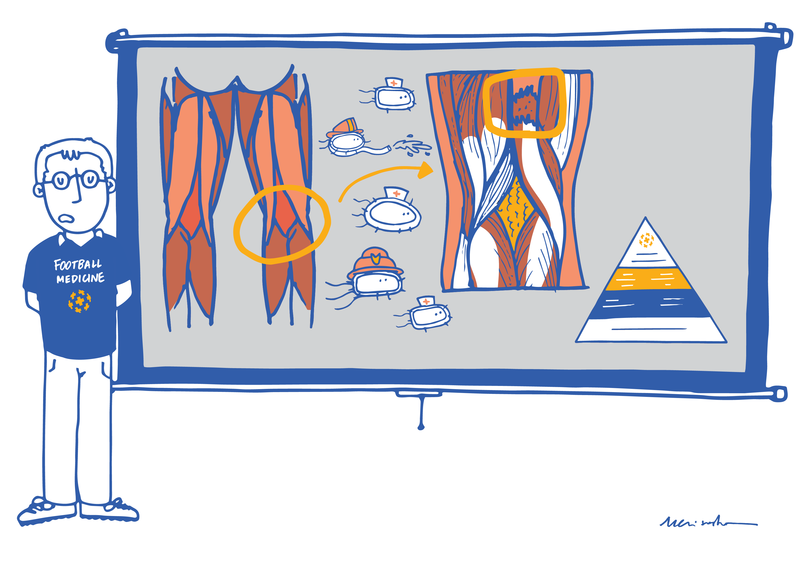 How does the muscle healing process develop, after an injury as occurred? As we (now) know, muscle injuries usually occur during an eccentric contraction, due to the characteristics of this type of contraction – higher force levels and higher tension to the connective tissue, to name some. 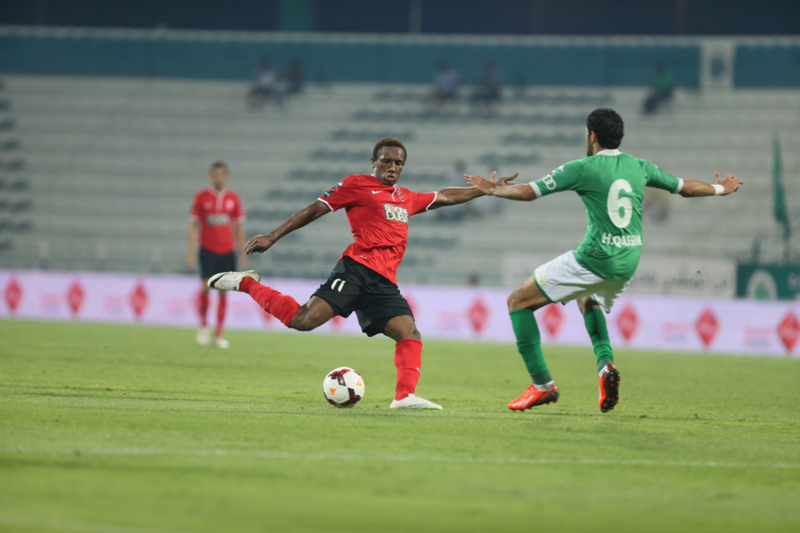 3) it guides the process of the rehabilitation and the criteria for progression and for return to play. We’ll take this step by step. The relation between the muscle injured and the muscle injury mechanism is relativelypredictable; in other words, analysing the injury mechanism, we can almost guess which muscle has been injured. One example is when, during a sprint run, the athlete, with no external interference, suddenly loses the capacity to maintain this activity. In this scenario, we are probably facing a posterior thigh muscle injury (hamstrings) (Video 1). On the other hand, an injury occurring when the athlete is kicking the ballis typical of an injury of the quads, specifically the rectus femoris muscle (Figure 1). In order to understand this phenomenon, we need to understand that when a muscle contracts, it doesn’t recruit all its muscle fibres; instead, there is a selective recruitment of specific muscle fibres needed in each moment. There is a specific recruiting pattern specific for each movement. This explains that, for example, an athlete with an injury of the quad (anterior thigh muscle) after kicking, feels uncapable of repeating that same gesture due to pain but can perform other tasks like running, without any symptoms. This happens because, although this latter task also requires the same muscle, the recruitment pattern of the muscle fibres is already a different one. 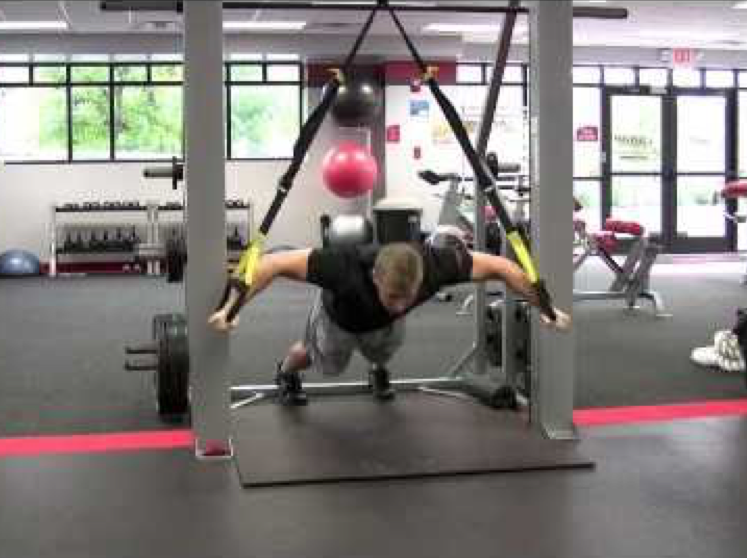 Athlete with a muscle rupture of the rectus abdominus (distal portion), grade 2b, that occurred during a TRX exercise at the gym (Figure 2). 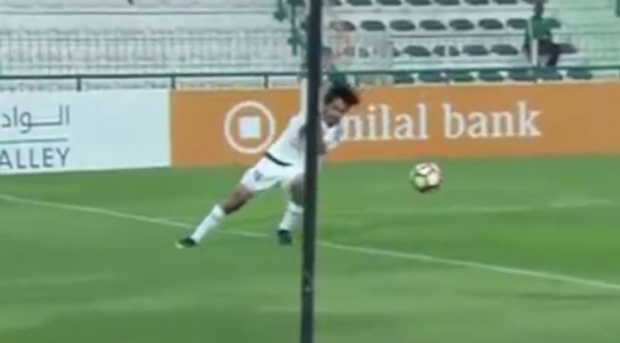 Although he presents with symptoms and restricted movement of the upper limb and trunk, he didn’t present with any limitation or pain during football practice. This is why, and although there is evidence of structural injury, there wasn’t any need of missing trainings/games since, functionally, the injury isn’t affecting the practice of football. From this rationale, we infer that the injury mechanism (an unusual movement in football) is key to determine the ability of the athlete in returning to play. Probably, the affected fibres aren’t recruited during the specific movements of this sport (running, kicking, etc.). 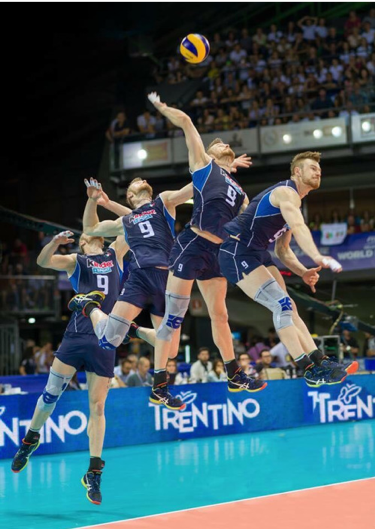 However, if the athletes sport was volleyball, this injury produced by this mechanism would most likely limit the use of the upper limb in sports practice and, maybe, make the participation of the athlete in training sessions or matches impossible (figure 3). Athlete with hamstring muscle injury, grade 2c, after a lateral deceleration (Figure 4). As we’ve seen in previous chapters, an injury classified with the letter “c” as a worse prognostic, since there is involvement of the tendinous component. However, the usual mechanism for this type of injury is during a sprint action, and not a lateral deceleration. One way of looking at this, and a hypothesis to be tested, is that a muscle injury with an unusual muscle patter may imply that the muscle presents some degree of overload and, because of this, a movement that normally wouldn’t produce any injury ended up being the extra stress that lead to rupture. These are also injuries with a better prognostic that, if the induced load/recovery period ration is respected (and by this mean, avoiding a new muscle “overload” scenario) the reinjury rate is low and the rehabilitation development is faster. 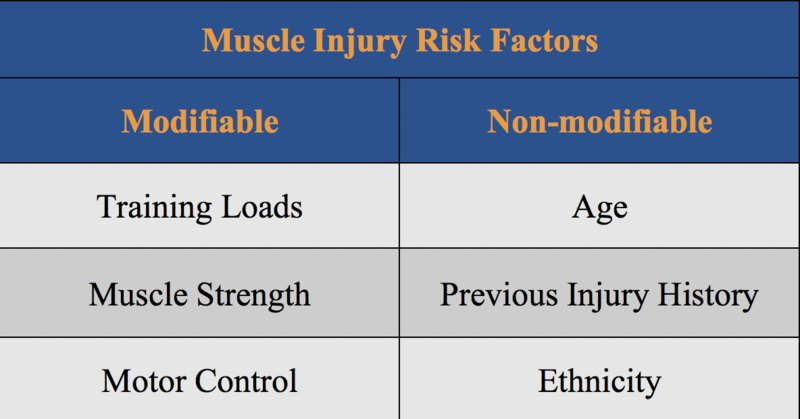 What are the key risk factors for the occurrence of muscle injuries? The variables and/or episodes that contribute to the occurrence of muscle injuries are named risk factors. An example of these are: age, muscle strength, joint mobility, history of previous injury, etc. If we look at the aforementioned characteristics, we can immediately point out that some of these risk factors can be manipulated (e.g. : muscle strength), while others can’t (e.g. : age). For this reason, risk factors are split in the non-modifiable risk factors and modifiable risk factors, as seen in Table 2. With this said, identifying the modifiable risk factors of each athlete is an extremely important task, since it will allow the manipulation of these and, through this, refine the injury profile of this athlete.However, identifying the non-modifiable risk factors is also key to control the injury rate in a team, since it will allow to implement strategies that aim to protect these specific players. 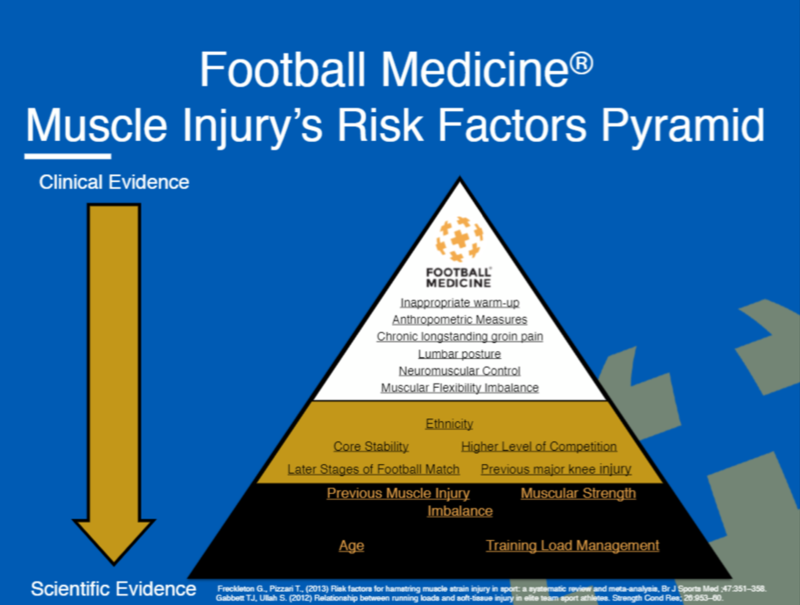 In Figure 5, we see the “Football Medicine® Muscle injury risk factor Pyramid”, which identifies and stratifies, according to scientific and clinical evidence, the main factors of each sort. In the base of the pyramid, we see the most important factors (also the ones with the strongest scientific evidence), with these characteristics lowering as we go closer to the apex. This pyramid is also a tool to facilitate the allocation of time and resources; after identification of the most relevant risk factors and correlate these with the scenario of our own team, we can now channel our resources to lower the injury rates. From all of these, we have to point out the importance of the Load Management. A deficient management of the loads imposed in training sessions/matches is the most important risk factor to muscle injury and, therefore, will have one entire chapter dedicated to it; to unveil some of the themes that we’ll approach, we know that load peaks, under- or overtraining, disrespect for the recovery periodspre and post matches/intense trainings are the load management factors that we have to pay the most attention in order to influence the rate of injury. 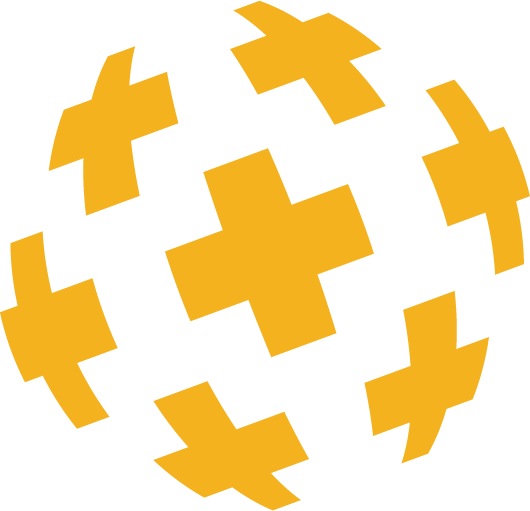 As we have previously mentioned, the goal of this project is mainly to educate the professionals in football about themes related to athlete’s health, and not so much to improve the knowledge of health professionals. Therefore, the goal of this section will not be to go through every detail of the healing process but to point out the timings and how these may influence both the return to play timing as the increase of the reinjury risk. First of all, it is important to know that muscle, as any other tissue in the body, has two means of being repaired: regeneration and/or cicatrisation. 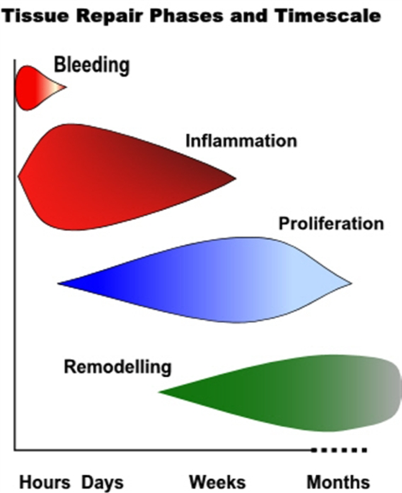 In a rather simplistic way, regeneration is the process in which the damaged tissue is replaced by the same type of tissue (Figure 6a), while cicatrisation is the repairing process in which the damaged tissue is replaced by a different tissue, commonly named scar tissue (Figure 6b). This scar tissue is rich in collagen and has different properties than the original tissue, usually being more rigid. Even though we are mentioning these two repairing processes, this separation is almost purely didactic. When an injury occurs, these two processes exist, however in different proportions. The type of injury, its extent, the way/conditions the injury is treated are the ones influencing these proportions. We know that when a muscle is injured, its repairing process will have a predominance of the cicatrisation process (meaning that there will be scar tissue formation). This scar tissue will have the mentioned different properties, creating mini myotendinous junctions. By now, you’ll know (as seen in our previous chapter) that a myotendinous junction is a frailty area when it comes to injuries, due to its mechanical and physiological properties. This is one of the hypotheses to partially explain why a previous muscle injury is such an important muscle injury risk factor. When the injury occurs, the damaged tissue will pass through 3 repairing phases: Inflammatory (and clotting), Proliferative and, finally, Remodelling. Once again, although separated, these phases co-exist and overlap (as seen in Figure 7), with changes in the predominance through time. One thing to underline is that muscle injury repairing lasts for months after the injury; however, most muscle injuries are back in the fields after a few weeks. This means that the athlete is able to resume the sport practice without the repairing process being fully completed. 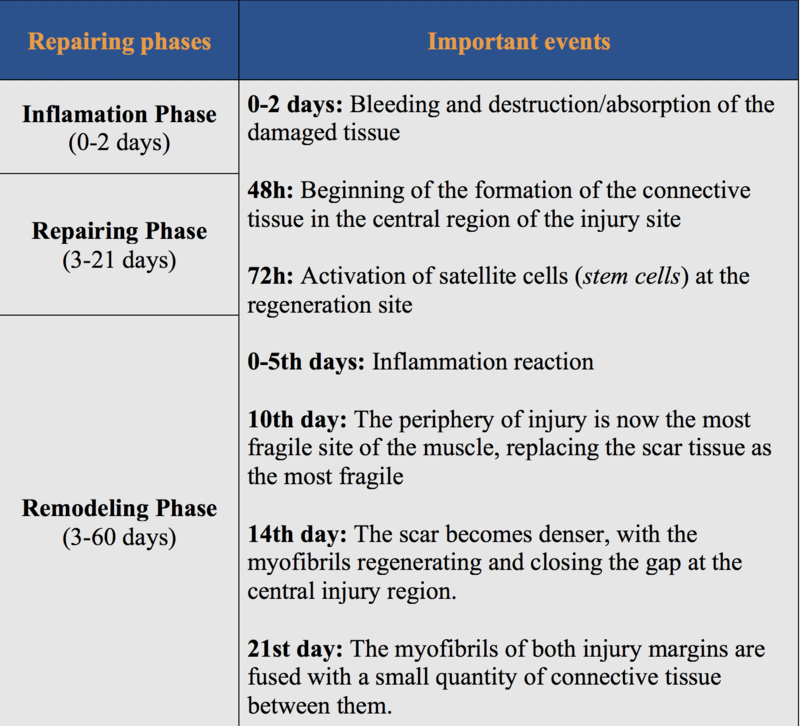 In Table 3 we observe the muscle repairing phases, along with the most important events that come with these. As pointed out, the management of the muscle injury is still a big challenge to the clinical departments of clubs, since their behaviour/reaction to treatment isn’t transversal or linear between different athletes; this is what drives the challenge of giving an accurate prognostic for muscle injury. The injury mechanism, the injury siteand the other items mentioned are the keys we can hang on to for prognostic; however, we have to underline that the individual answer and reaction of each athlete is what mostly conditions this result. Nevertheless, the knowledge about the biology of muscle healing is extremely important in the support of the therapeutic decision. Analysing the Table 3, we easily understand that, when a structural injury as occurred, it is unlikely that the athlete should/is able to resume sports activity before 10-14 days have passed, since the scar tissue has not been given time to develop enough consistency to deal with high loads, even if the athlete hasn’t got any symptoms left.We also understand that even if the injury site is filled after 21 days (on average), the tissue that is in this site doesn’t have yet the maturity or consistency required, leading to higher chances of biological failure of the tissue (and, therefore, reinjury rates!). Knowing all this, we still see that a big part of the athletes that suffer muscle injuries are reintegrated after an average of 3 weeks. These athletes are already able to deal with the loads that they are usually exposed to during trainings/games (even if the muscle hasn’t recovered from an histological/structural point-of-view and has, therefore, associated risks). In the end, the clinical decision of the weighted risk is taken based on clinical criteria of progression/return to sports. This is, indeed, the biggest challenge of the medical departments of a club.